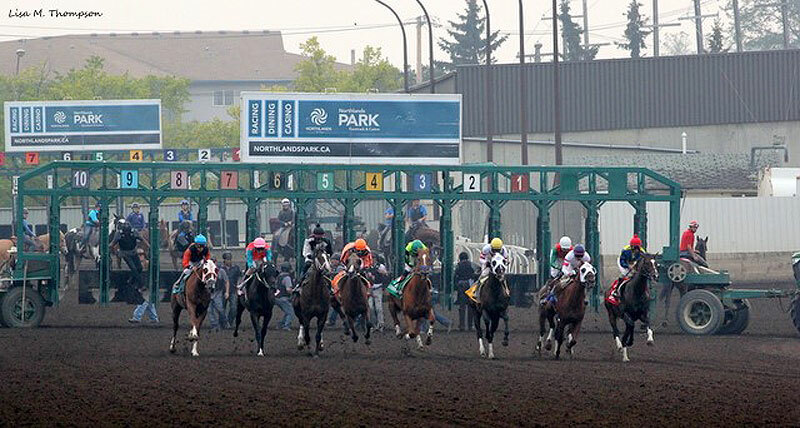 The very last Thoroughbred race ever to be run at Northlands Park in Edmonton took place Saturday August 25, 2018. A crowd of 14,568 gathered to bear witness to the end of an era, and cheer on the contenders in the 89th running of the iconic Canadian Derby, wagering $1.2-million. It was Sky Promise, a three-year-old colt, that will go down in the history books as the final winner at the storied track. His trainer, Robertino Diodoro, noted that the win was extra special for him because he enjoyed his first victory as a trainer at Northlands. Harness racing will continue into the fall at Northlands, after which the facility will be closed after 118 years. It has not yet been announced what will become of the property. A new track, the Century Mile, is under construction in Leduc, just south of Edmonton. It was scheduled to open this summer, but the opening has been pushed to spring 2019. Back in 2016, it was announced that racing would end at Northlands, but the track reached an agreement with Horse Racing Alberta that allowed the show to go on for two more years. Century Mile will be located close to the airport and highways, providing easy access for racing fans. It will feature a mile-long track – the first in Western Canada. It will host, Thoroughbred, Standardbred and Quarter Horse racing. Read Thoroughbred writer Curtis Stock’s account of saying good bye to “a longtime friend” here.